This summer has offered many different games for teenagers and kids to dive into and enjoy. Today I am going to talk about a game that has swept the world. Battlefield 1 was released last October in a spectacular way pulling hundreds of thousands of gamers across the globe. With gamers eager to get new content, Battlefield entered the French into the battle however players were hungry again, so EA and Dice’s response was Soviet Russia. No, no, I mean Russia. On September 19 (September 5th if you had Premium) they released the Russians to fight for the Tsar in the new DLC (Downloadable content) “IN THE NAME OF THE TSAR!” I took it on myself to purchase and play the DLC and I have spent the last couple weeks playing the game so I can make a fair review of it. The new Russian expansion has brought the most content since the base game. It offers 6 new maps, 11 new weapons, 2 new vehicles, and much more. Also coming with this expansion, they have 2 new Armies, The Russian Army (The White Guard) and The Red Army (The Communist Bolsheviks). You can take part in the brutal Brusilov Offensive and The Red Tide in the new operations. What I think of the content so far is that it is intense. My favorite maps are Tsaritsyn and Albion. In Albion you can storm the snowy beaches as the Germans, or, hold coastal cannon defense as the Russians. In Tsaritsyn you can play as the Red Army trying to take the city, or, the White Guard and defend the shelled church. My favorite weapon for each class is the SMG 08/18 for Assault, the Fedorov Avtomat for Medic, the Perino Model 1908 for Support, and the Vetterli-Vitali M1870/1887 for Scout. 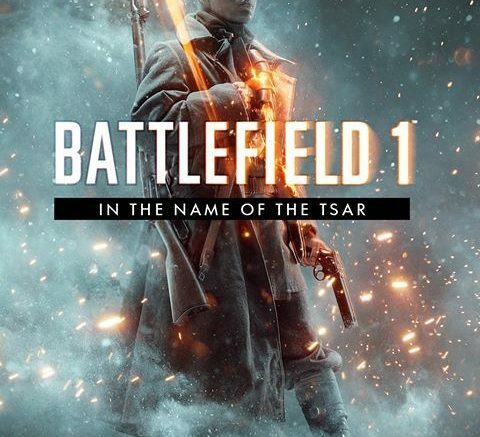 I think that this expansion did a great job of incorporating the Russians into the already great game that Battlefield 1 is. It throws you into a realistic experience of World War 1 on the Eastern Front. I loved this DLC, even more than the French expansion since it added a whole new side of the war that you can try. I think that if you have strayed away from Battlefield 1 or if you didn’t enjoy the last DLC, then you will not be disappointed to try this one out.